Partnership with EY looks to help manage content rights and royalties issues using blockchain. 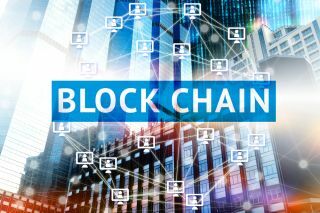 Microsoft and Ernst & Young (EY) announced a new blockchain solution for the entertainment industry. The service looks to help manage content rights and royalties, with games publisher Ubisoft signed up to be the first organisation to trial. The two companies said the current process revolving content rights and royalties payment is often costly and time-consuming. They’re saying the value chain in this industry is huge – authors, song writers, production houses, developers and who else not – they all need to be paid royalties for the revenue their intellectual property generates. That can quickly add up to billions of dollars for more successful products. Calculating royalties are ‘currently mostly manual and generally managed via offline data sources’, the two companies claim. And that’s exactly what this new blockchain offering aims to fix. Increased trust, more transparency and reduced operational inefficiencies are just some of the benefits that will come along the way. It was also said that the solution will provide near real-time visibility of sales transactions. The underlying network is built using the Quorum blockchain protocol and Microsoft's Azure cloud infrastructure. Ubisoft, one of the world's leading game publishers and a Microsoft gaming partner, is testing the solution. "We are always looking at how to leverage emerging technologies in all facets of our business,” said Loic Amans, Senior Vice President, Finance & Strategic Planning at Ubisoft. “The opportunity to collaborate with EY and Microsoft on blockchain use cases in the domain of digital contracts and royalties is truly exciting."